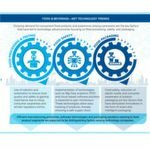 The proportion of electronics and software in vehicles is increasing tremendously. With the growing complexity of powertrain and electric chassis components, automotive diagnostic systems are facing considerable challenges in development, production and aftersales. 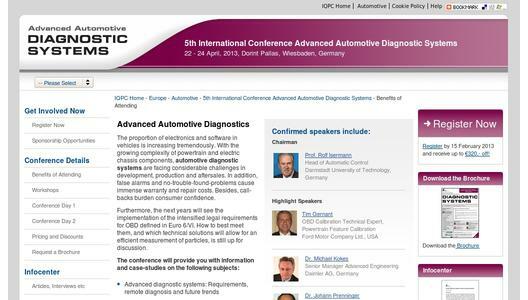 Discuss these with experts onsite at IQPCs 5th International Conference Automotive Diagnostic Systems. The next years will see the implementation of the intensified legal requirements for OBD defined in Euro 6/VI. How to best meet them, and which technical solutions will allow for an efficient measurement of particles is still up for discussion. In addition, false alarms and no-trouble-found-problems cause immense warranty and repair costs. Besides, call-backs burden consumer confidence. Don’t miss the chance to meet representatives of major industry players such as Adam Opel AG, Daimler AG, Jaguar Land Rover Ltd., Volvo Group Trucks Technology, Ford, and many more. Additionally, three interactive workshops ensure in-depth discussions on different diagnosis methods.